While the LHC physics programme is still in full swing, the preparations for the European Strategy for Particle Physics and the recent release of the FCC Conceptual Design Report bring attention to the future of high-energy physics. How do results from the LHC impact the future of particle physics? Why are new high-energy colliders needed? Is The Starry Night Turbulent? 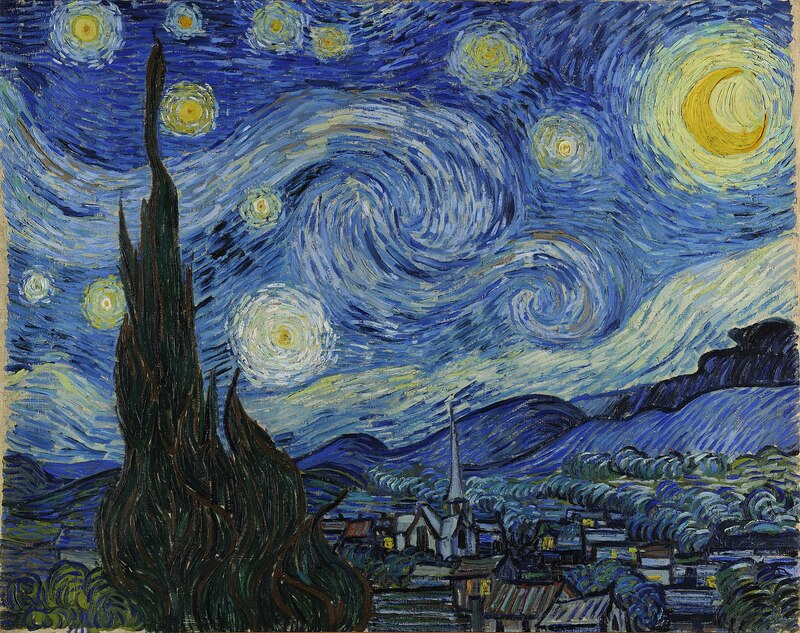 Vincent van Gogh’s painting, The Starry Night, is an iconic piece of art and cultural history. The painting portrays a night sky full of stars, with eddies (spirals) both large and small. Kolmogorov1941’s description of subsonic, incompressible turbulence gives a model for turbulence that involves eddies interacting on many length scales, and so the question has been asked: is The Starry Night turbulent? To answer this question, we calculate the azimuthally averaged power spectrum of a square region (1165×1165 pixels) of night sky in The Starry Night. We find a power spectrum, P(k), where k is the wavevector, that shares the same features as supersonic turbulence. It has a power-law P(k)∝k2.1±0.3 in the scaling range, 34≤k≤80. We identify a driving scale, kD=3, dissipation scale, kν=220 and a bottleneck. This leads us to believe that van Gogh’s depiction of the starry night closely resembles the turbulence found in real molecular clouds, the birthplace of stars in the Universe. This is a review of Hossenfelder’s book, ‘Lost in Math: How Beauty Leads Physics Astray’. The book gives a breezy exposition of the present situation in fundamental physics, and raises important questions: both about the content of the physics, and the way physics research is organized. I first state my main disagreements. Then, I mostly praise the book: I concentrate on Hossenfelder’s discussion of supersymmetry, naturalness and the multiverse. In his public lecture webcast at Perimeter on February 7, Clifford V. Johnson discussed the process of turning complex scientific topics into compelling visual narratives. We consider the history of the early universe in the locally supersymmetric model we have previously discussed. We pay particular attention to the requirement of converting the quanta of the field which drives primordial inflation (inflatons) to ordinary particles which can produce the cosmological baryon asymmetry without producing too many gravitinos. An inflaton mass of about 1013 GeV (a natural value in our model) produces a completely acceptable scenario.